I can't think of a cute or clever name for this smaller version of Flashdance. It is 26 x 31 before washing, so it's wall hanging size or big enough to be a stroller/car seat quilt or a large doll quilt. 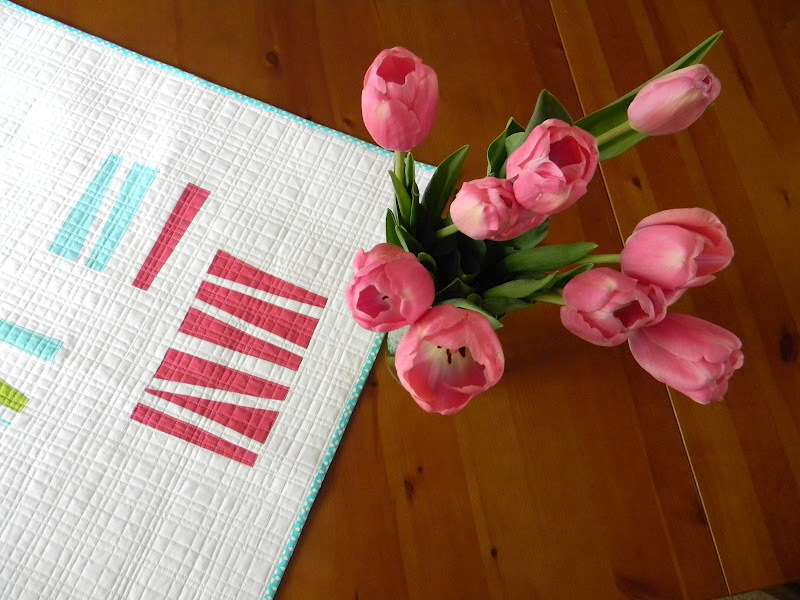 I oriented the stripes differently and the proportions of the blocks vary from the first quilt. I seem to have a habit now of making quilts twice. I really enjoy seeing the difference small changes can make to the same basic design. 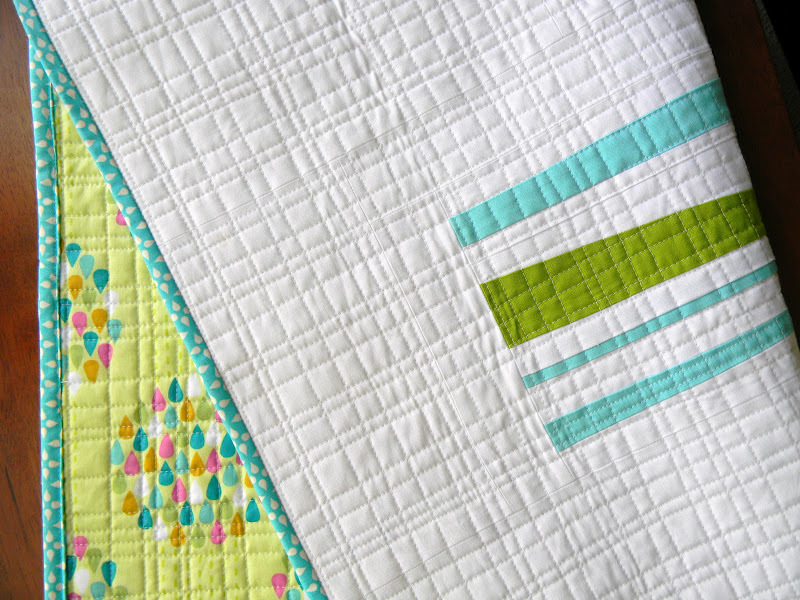 I decided to revisit the crosshatch quilting, but I chose a print binding and a multicolor print backing which add a playful feeling to the quilt. I just love the raindrops dot from Summersault by Erin McMorris. I have it in four colorways, in fact. 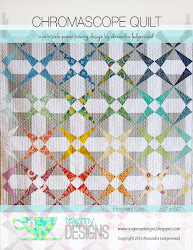 The large scale makes it perfect for a backing and the colors are so great for this quilt. It looks perfect with the Washi print binding too. This one is destined for the shop too, but I may not get either quilt listed until after the KCMQG retreat. Now, I have lots of sewing projects to pack. wow, this one looks so wonderful, too. 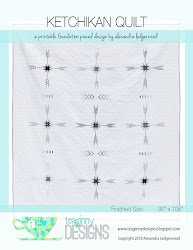 I just can't get enough looking at your Flashdance quilts. They are both fantastic!!!! It's so pretty - both of them. Gorgeous, take two! Enjoy the retreat!! These are both amazing! I love everything about them. 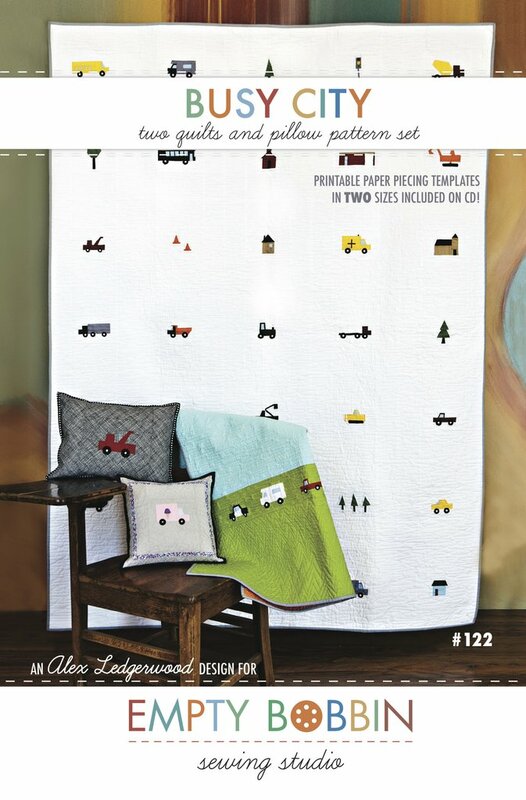 The quilting is fabulous. 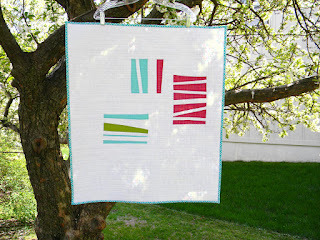 love your super dense quilting! Wow! Beautiful quilt! I love the modern design and the quilting pattern is fantastic! Well done! I love them both. It's great to see how small changes make quite a significant difference. I love the "minimal" and the heavy quilting. It looks great!